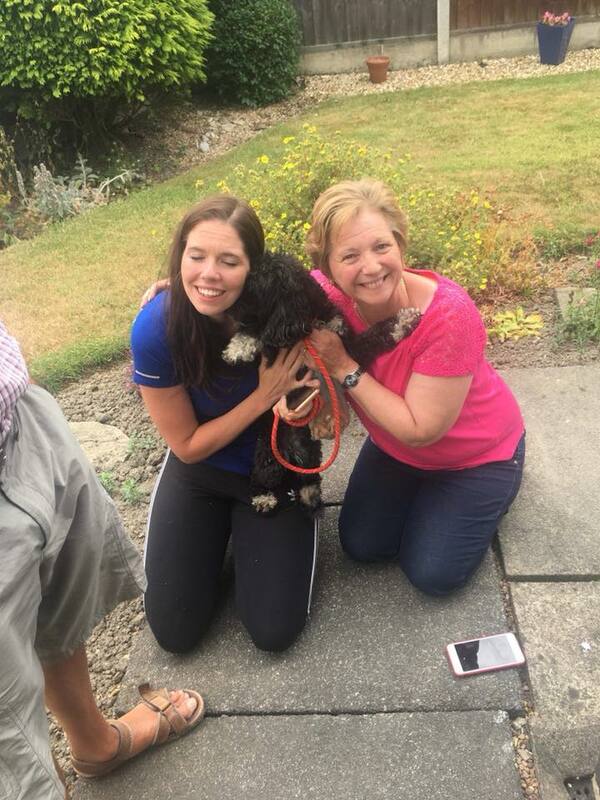 Dolly a black and white Cockerpoo went missing on Saturday 14th July after escaping from the owners friend who was looking after her whilst they was away. 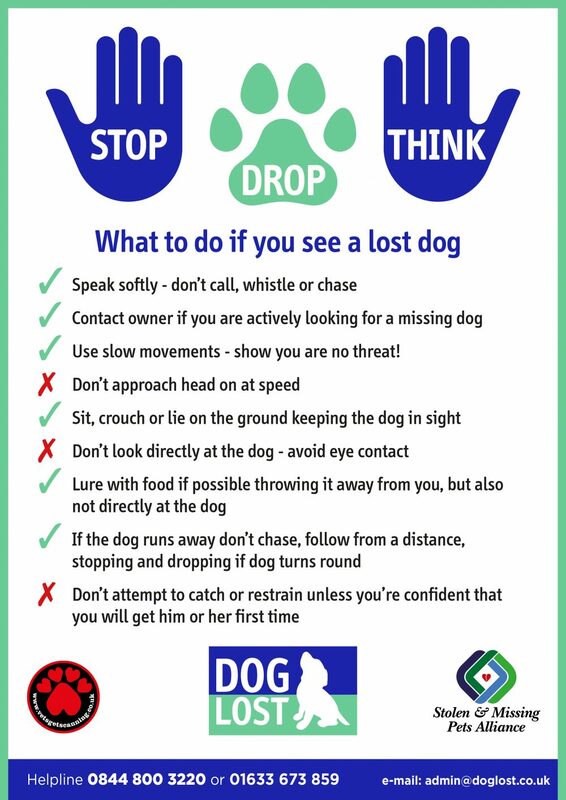 Dog SOS Derbyshire offered support and advised lots of posters up in the area and started sharing .We initially got lots of sightings called in via posters and local community groups, some very worrying as she was running scared on very busy roads. She eventually seemed to settle in one area with numerous sightings enabling us to establish the area she was in and by that point the owner was home so we decided to set a trap. Unfortunately as the owners and one of our team sat out trap watching we got another sighting in another area. We hoped she would return to the area the trap was in and where she seemed to feel safe in however, she may have been spooked as the next morning we had numerous sightings in the area she had been spotted the night before. She had moved on so were back to square one waiting for her to settle again. We were fortunate to get help from Carl one of the drone pilots from Drone SAR team to search some wasteland she had been seen in. Just as he had finished the owners got a call from a gentleman called Ken whose friend had spotted Dolly in a garden earlier and she had returned. So the owners and one of our team dashed over and met Ken who took them to the garden. When there they could see Dolly chilled sat under an apple tree. As you could imagine her owner Kelly was overwhelmed with emotions on seeing her. Our member took control of the situation advising Kelly that she needed to stay calm or else she could bolt. They both lowered themselves to the ground and crawled towards Dolly not making eye contact. They both sat throwing treats towards her still not making eye contact with Kerry reassuring Kelly. Dolly stood up looked around debating wether to run but she then walked towards Kelly her owner sniffing the air then when close enough she ran towards her wagging her tail and into her mums arms giving lots of kisses. Dolly has been vet checked, has very sore paws but otherwise well. A big thank you to all of Dolly’s family, friends, the local community and our members that shared and went out searching and rang the sightings through. Dolly’s family were amazing and worked relentlessly to get her home taking on board all the advice given and working with us. Well done all our recent DogLost Licks awardees! Photo shows owner and kerry in pink.